Hillary? Even the Wheeling “newspapers” no longer blame her for everything that has gone wrong on the planet. “[J]ust as Morrisey’s campaign and his super PAC do in each of their ads portraying Evan with Hillary, Obama, Pelosi, etc., we sometimes take creative license while arranging images in order to help make a substantive point,” he admitted. “Creative license?” How about “fabrication”? 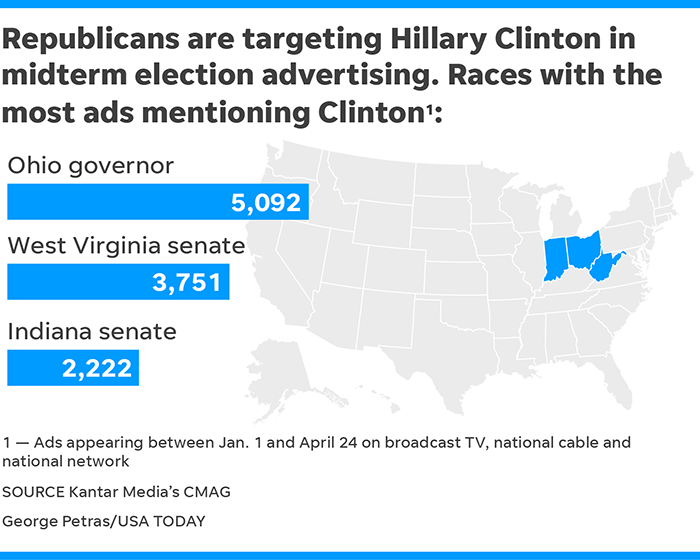 While it's easy to complain about how pathetic these candidates are, they aren't spending millions on ads that don't work. Okay, Clinton was quoted (without proper context) that she wanted to close down coal mines in the state. But she was very unpopular before she said that. Beyond the likely possibility that these Republican candidates have nothing positive to say, why are they still focusing on Hillary?